This is the last square on the map, where my dad's journey came to an end. The train line you can see from the road is only operational in the summer. 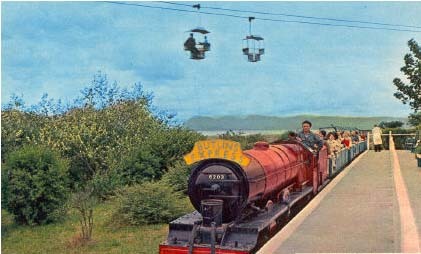 It's a private franchise with a small theme train for ferrying people to and from the now disappeared holiday camp. The beach is somewhat desolate and remote at this far north-eastern end. I don't think my father was the first person to come here in the dead of night to disappear. Just him and the nightjar hunters. Perhaps this is the exit point for all citizens of Oldton. Turn right and simply walk off the map.